Carl F. Waser, Jr., 87, of Rockford, passed away April 5, 2019. He was born on February 12, 1932 in Rockford to Carl F. and Evelyn (Emerson) Waser. He married Shirley E. Meyers on June 29, 1952 in Beloit, Wisconsin. Carl served in the U.S. Army. 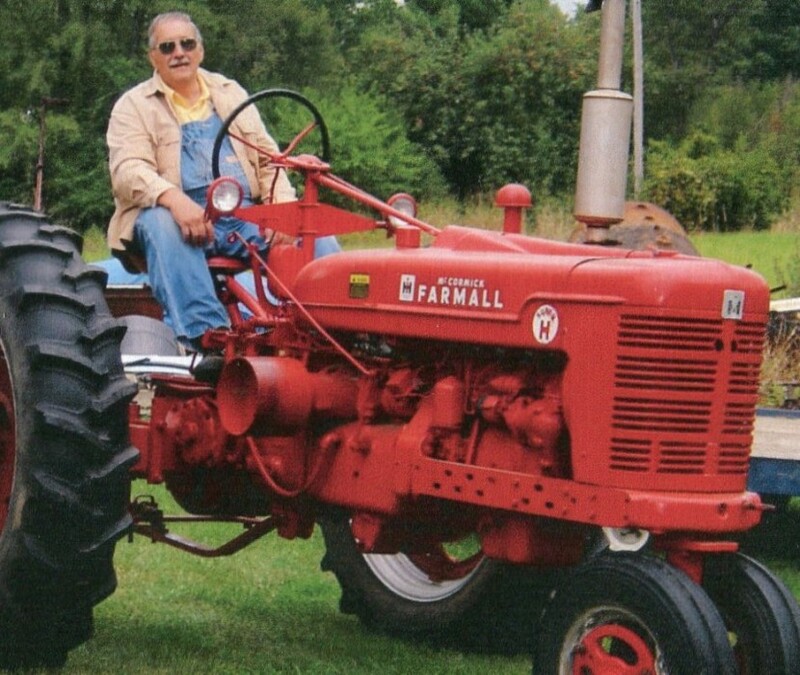 He had a passion for restoring International tractors. For over 60 years Carl was a painter for local 607. He took pride in caring for his orchard and you could always find Carl in a colorful shirt and bibs. Carl enjoyed coffee with his farmer friends at Dixie Cream and McDonalds. He was proud of his Swiss heritage and loved attending Monroe's Cheese Days with his family since his kids were little. Survivors include his children, Gwen Schumacher, Darline (Ken) Baraconi, Harley (Angie) Waser and Ken (Sue) Waser; 10 grandchildren and 12 great-grandchildren; siblings, Evelyn Waser, Frank Waser, Joe Waser and MaryAnn (Maynard) Zastrow. Predeceased by his parents; wife, Shirley; son-in-law, Larry Schumacher; best friend, Earl Hess; sister, Catherine Waser. Visitation will be held on Friday, April 12, 2019 from 5:00 p.m. to 8:00 p.m. in Honquest Family Funeral Homes with Crematory, Mulford Chapel, 4311 N. Mulford Rd., Loves Park, Illinois 61111.